Grant Naude, Manager- Legal Services South Africa joins Des and Belinda today on the Aviation Radio Show. Find out more about who Grant Naude is, what type of matters is he involved in. Learn about Aspects of Aviation Law, what makes it so complex, how does one achieve registration of aircraft and operation thereof on a charter basis? 6: Aero Club of South Africa Annual General meeting. Expectations of rapid growth in defence spending in countries in the Middle East offer platforms for Denel's participation in the region's top defence exhibition next month. A report released by international consultancy company, Deloitte, earlier this month projected a growth of more than 3% in global defence spending in 2017 after years of declining budgets. This growth will be particularly strong in the Middle East and North Africa where a number of countries are starting to acquire next generation military equipment. Top defence decision-makers and industry leaders from Gulf countries such as the United Arab Emirates, Oman, Qatar, Kuwait and Saudi Arabia will attend the biennial show that takes place at the Abu Dhabi National Exhibition Centre. 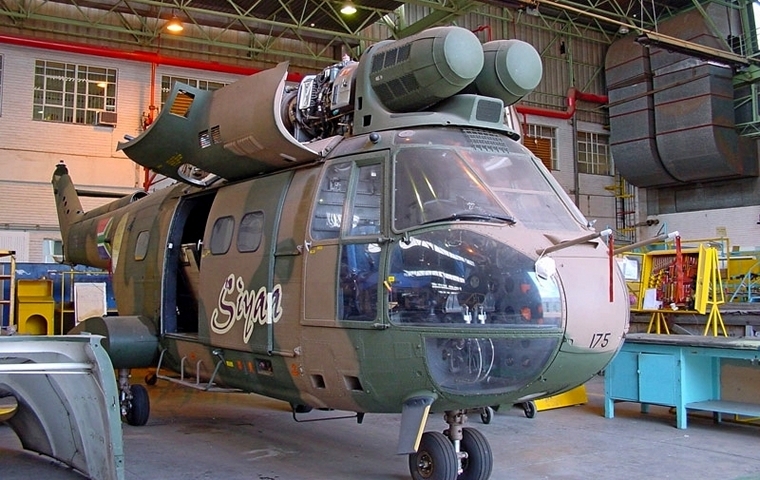 The Middle East is a vital region for Denel as a company which earns almost 60% of revenue from exports. Denel Vehicle Systems recently started with the delivery of its RG31 Mk5 mine-resistant vehicles to a client in the United Arab Emirates following on a similar contract to supply the 4x4 N35 armoured vehicles. A range of missiles manufactured by Denel Dynamics will be on display at the Denel stand. This includes the Umkhonto-EIR surface-to-air missile, the A-Darter air-to-air missile and the Ingwe and Mokopa surface target missiles. 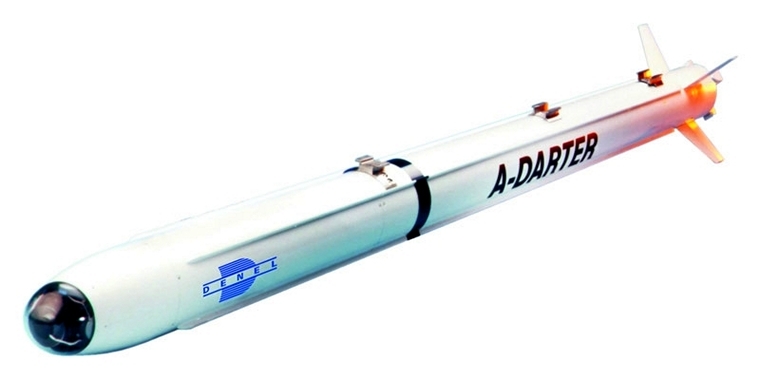 The Cheetah surface-to-air missile manufactured by Denel Dynamics and Rheinmetall Defence Munitions (RDM) which offers defence forces comprehensive counter rocket, artillery and mortar capabilities will form part of the Rheinmetall Air Defence stand. The iNkunzi PAW20 is a 20x42mm semi-automatic weapon, both the weapon and the ammunition is manufactured by Denel PMP. The weapon is carried by a single soldier and is highly effective in modern urban warfare conditions at distance up to 800 metres. Denel Land Systems will display its wide range of 60mm mortar systems, variants of the DMG-5 machine gun and its NTW 20 anti-materiel rifle that can be deployed against radar installations, bunkers and high value targets at range of more than 1 500 metres. Ntshepe says scale models of the Rooivalk combat helicopter and the Oryx medium-sized utility helicopter will also be shown at the Denel stand to highlight the company's capabilities in aviation design, manufacturing, maintenance and repairs. The United States has approved the sale of twelve Air Tractor AT-802L and two AT-504 trainer aircraft to the Kenyan Air Force. 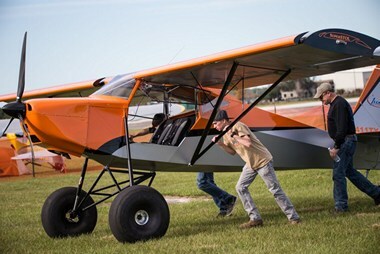 The Air Tractor® AT-802U that was introduced in 2009 is a single engine turboprop aircraft designed for surveillance, precision strike, and rugged dirt strip utility missions. 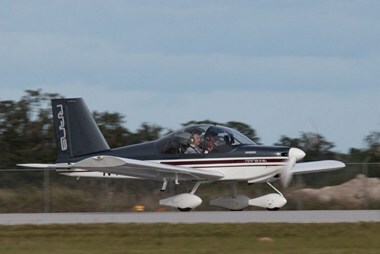 Protected by cockpit and engine armour, self-sealing fuel tanks and armoured glass windscreens and windows the AT-802U combines an 8,000-lb. (3,629 kg) payload and 10-hour ISR mission capability with the flexibility and responsiveness of a manned weapon system. Armaments are carried on external hard points and may include GAU-19 Gatling guns, Mk 82 bombs, M260 rocket launchers and Hellfire missiles. The Kenyan order is worth about $418 million will includes training and technical support. The acquisition of the AT-802U will strengthen and provide the Kenyan Air Force with a much capability in its ongoing efforts to counter al-Shabaab. 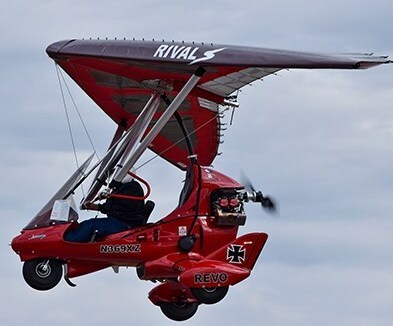 The twin Lycoming-engined 11-seat P2012 Traveller prototype will take centre stage on Tecnam's stand at the Global Aviation show's 25th anniversary in April this year. The aircraft will interrupt an intensive test flight programme to be present for all three days between April 5th and April 8th. 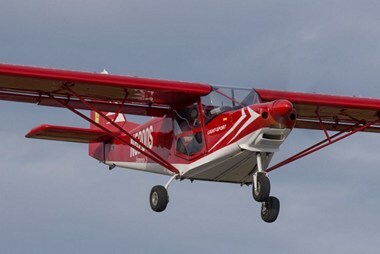 The Tecnam P2012 prototype is currently engaged in a challenging test flight programme and a number of key tests have already been successfully completed. 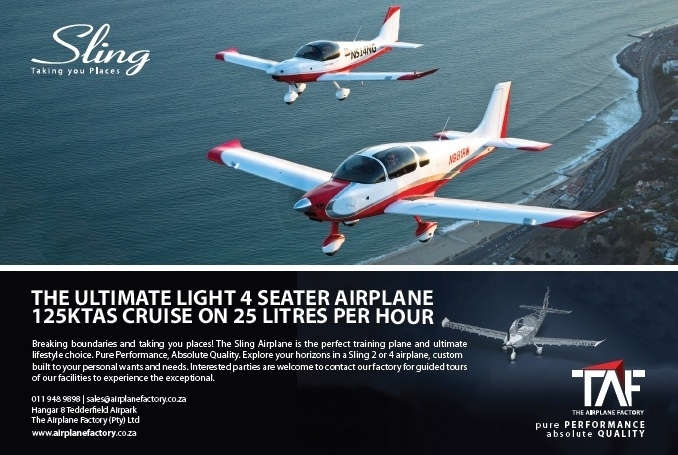 The aircraft is equipped with latest avionics from Garmin, the new G1000 Nxi and is powered by two 375 HP Lycoming piston engines. 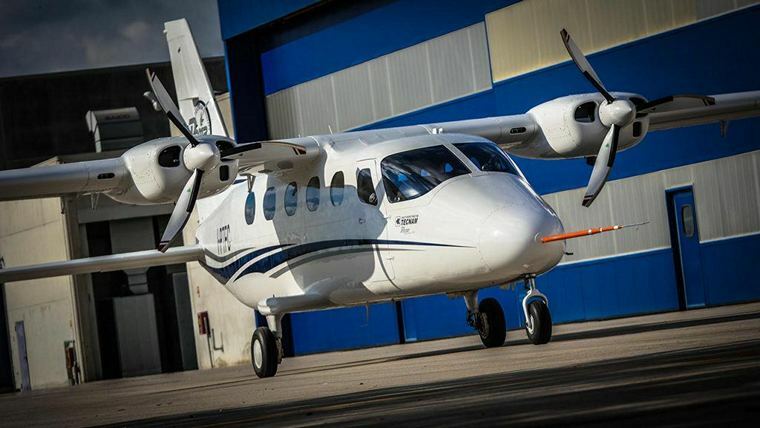 TECNAM is very happy with the progress to date and the programme is now well on its way to completing flight certification, scheduled for around the end of 2018. U.S. 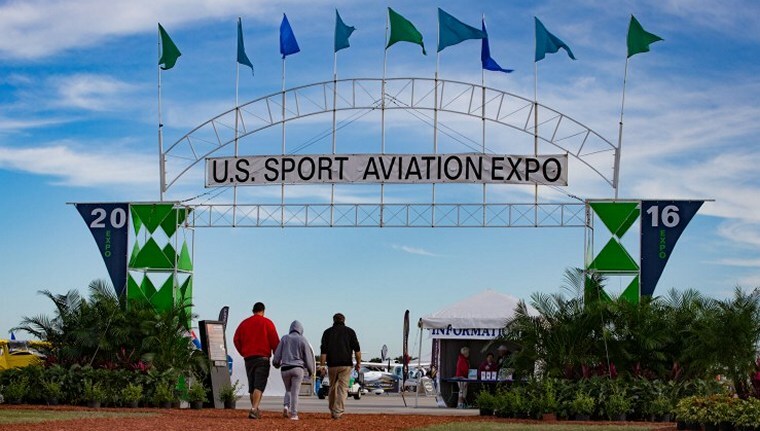 Sport Aviation Expo kicked off on Wednesday January 25 with glorious weather that continued for all four days. Zenith Aircraft's daily rudder workshop was completely filled and attendees were thrilled to have the opportunity to build their own rudder. Over 700 students from area schools came to hear famous aviators who defied the odds, and built remarkable aviation-related careers: Shaesta Waiz, Patty Wagstaff, Jamail Larkins, La'Shanda Holmes and Melissa Mathiasen. Hobbico held a special Vusion Spec Race in partnership with Multi GP on Saturday. The DroneZone was the place to be to watch the drone racing live during the four-day event. The winner of the $3,500 Vusion Spec Race was Ivan Rodriguez “EnvyAstro”, and the winner of the DroneZone $10,000 grand prize was Cain “Mad-Air” Madere. Aviation Inc., a Textron Inc. (NYSE:TXT) company, announced it is celebrating the 45th anniversary of the first Cessna Citation delivery. The first Citation jet, a Cessna Citation 500, was delivered to American Airlines in January 1972, where it was used for the development of the company's training program. 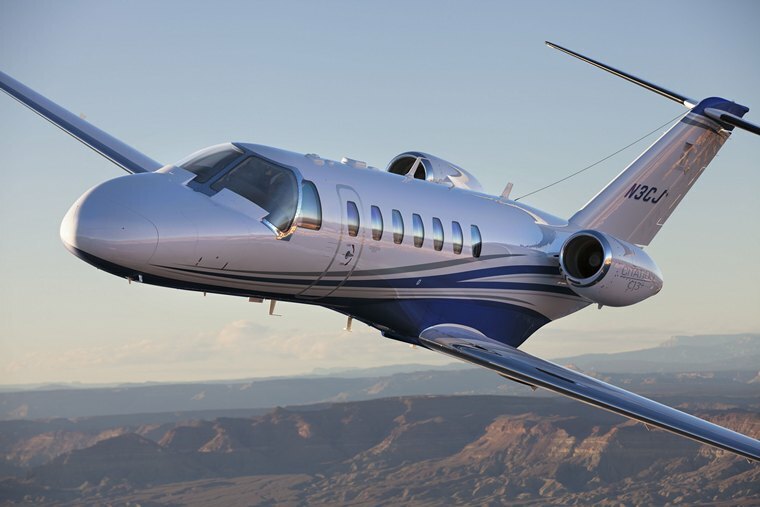 Since then, the Citation series has become the most popular line of business jets ever produced with more than 7,000 delivered to customers around the world. The worldwide fleet has amassed nearly 35 million flight hours. Citation jets are renowned for their ability to combine reliability, efficiency and comfort with advanced technology and class-leading performance. This unique combination of features has resulted in a level of unparalleled quality Citation operators around the globe have come to know and value. The Citation series of business jets has evolved to offer an unmatched range of capabilities, systems and options that allows customers to expand their business reach. 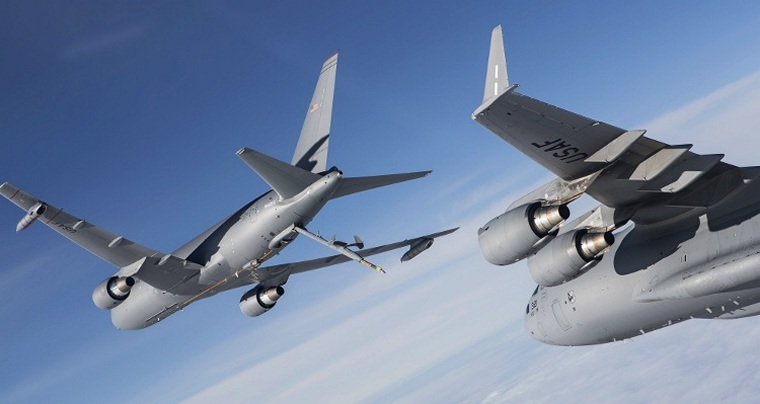 The U.S. Air Force today awarded Boeing [NYSE: BA] $2.1 billion for 15 KC-46A tanker aircraft, spare engines and wing air refuelling pod kits. This order is the third low-rate initial production lot for Boeing. The first two came in August 2016 and included seven and 12 planes, respectively, as well as spare parts. Boeing plans to build 179 of the 767-based refuelling aircraft for the Air Force to replace its legacy tanker fleet. Tanker deliveries will begin later this year. Boeing received an initial contract in 2011 to design and develop the Air Force's next-generation tanker aircraft. As part of that contract, Boeing built four test aircraft - two configured as 767-2Cs and two as KC-46A tankers. 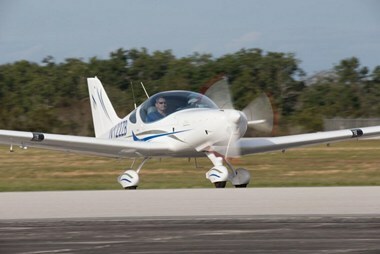 Those test aircraft, along with the first production plane, have completed nearly 1,500 flight hours to date. Yemen, Dijbouti: A US Air Force (USAF) Bell-Boeing V-22 Osprey (believed to be based at Camp Lemonnier, Djibouti) suffered a hard landing while on a Special Operations Force raid to combat Al'Qaeda in Yemen. One fatality is reported though this may be from the subsequent military operation. The downed airframe was later destroyed by an air-strike by an F-16. USA, Los Angeles: Smoke detected in cabin of an American Airlines flight with 80 people on board from Los Angeles forced the crew to return to San Francisco. The aircraft landed safely and was met by firefighters on the northern-most runway of Los Angeles International Airport. No injuries were reported and the cargo hold was to be inspected by firefighters following its touchdown. USA, Tucson: Two people were killed Monday when the Beechcraft 300 Super they were flying in crashed at the Tucson International Airport. The plane was taking off from the airport and was headed to Mexico when it skidded of the runway, crashed close to the car rental agency where it caught fire. Colombia, Leticia: An AerCaribe Boeing 737-400 on a freight flight from Bogota to Leticia (Colombia) with four crew landed on Leticia's runway but overran the end of the runway and came to a stop on soft ground past the end of the paved surface of the runway end safety area. There were no injuries, the aircraft received substantial damage. USA, New York: A Delta Airlines Boeing 767-400 on a flight from Atlanta, (USA) to Paris Charles de Gaulle (France), was enroute at FL330 about 60nm east of Boston,MA (USA) when the crew decided to divert to New York JFK,NY (USA) due to a hydraulics failure. The crew advised no assistance was needed. The aircraft positioned for an approach to JFK's runway 31L, tower advised emergency services were standing by on precaution, and landed safely on runway 31L about one hour after the decision to divert and taxied to the apron. First established as the Women's Royal Air Force (WRAF) in 1918 and disbanded in 1920. The Women's Auxiliary Air Force, a female auxiliary of the Royal Air Force was established on 1 February 1939 during World War II. The members if the force were referred to Waafs. Conscription of women did not begin until 1941. It only applied to those between 20 and 30 years of age and they had the choice of the auxiliary services or factory work. 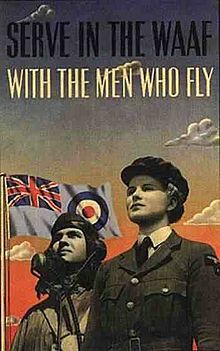 WAAFs were paid two-thirds of the pay of male counterparts in RAF ranks. The use of women pilots was limited to the Air Transport Auxiliary (ATA), which was civilian organisation. Although WAAFs did not serve as aircrew and did not participate in active combat, they were none the less exposed to the same dangers as any member of the military employed on the "home front." 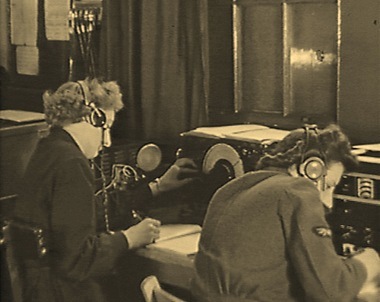 WAAFs were a vital presence in the control of aircraft, both in radar stations and as plotters in operation rooms, most notably during the Battle of Britain. These operation rooms directed fighter aircraft against the Luftwaffe, mapping both home and enemy aircraft positions. They worked with codes and ciphers, analysed reconnaissance photographs, and performed intelligence operations. 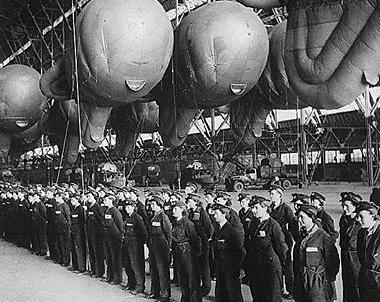 They were also active in parachute packing and the crewing of barrage balloons in addition to performing catering, meteorology, radar, aircraft maintenance, transport and communications duties including wireless telephonic and telegraphic operation. 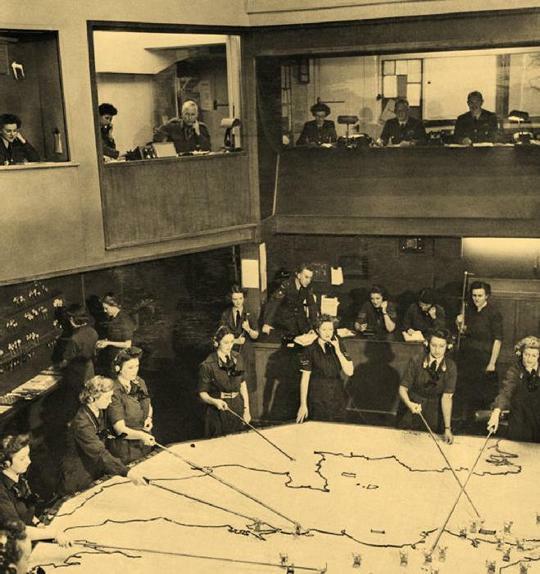 At its peak strength, in 1943, WAAF numbers exceeded 180,000, with over 2,000 women enlisting per week. By the end of World War II, WAAF enrolment had declined and the effect of demobilisation was to take thousands out of the service. The remainder, now only several hundred strong, was renamed the Women's Royal Air Force on 1 February 1949.